True to its name, this brand is committed to creating products that are all natural in helping you to live better. In a world where toxic ingredients sneak into products we depend on daily, 100% Pure goes above and beyond to ensure that you never have to choose between having healthy skin or looking your absolute best! Their well-renowned range, Fruit Pigmented series are made naturally from fruit, vegetables and plant extracts to derive a vibrant colour. Plus the formula contains nourishing ingredients that lasts. Get a natural blush from the cherry cheek stain or go bold with a bright red lipstick. Just like their makeup, the range of beauty items such as the antioxidant night cream, BB cream and eye cream are made from meticulous methods such as cold pressed to ensure that the ingredients’ compounds stay intact. So that you feel the goodness on your skin. They believe in sustainability and their business operations revolves around it. Not only do they ensure that the packaging is recyclable and that the ink on them is soy-based, the company pays attention to the ecological footprint in each headquarters. 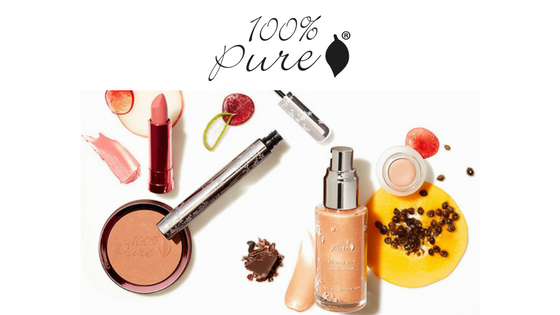 100% Pure shows its commitment in giving you the purest beauty essentials and in championing sustainability. When you shop at NATURELOVA, you get access to conscientious brands just like 100% Pure. Cherry picked for putting your needs first, these brands are not only organic, natural and hypoallergenic, they create products for your whole family to enjoy! As a person who wants to keep up with the latest in trends in the beauty world, stay on trend with one of the many matte lipsticks in our collection. Never compromise beauty again! Keep your makeup on point knowing that brand such as 100% Pure give you the creative freedom to look your best while keeping your skin’s needs in mind. When you shop with us, not only do you get a plethora of the best items, shopping is convenient for all you conscientious shoppers - get your items delivered to you. Whether you’re in Europe or in sunny Singapore, delivery is free worldwide and there is no minimum spending required to enjoy this amazing perk!